There are plenty rumors are running in tech market. Some are saying that iPhone 5s is coming and some are saying iPhone 6 is coming. I don’t know whether this information is correct or wrong. Let’s wait and watch what happen next in Smartphone’s market. If iPhone 6 is come then it’s a major upgrade based on iPhone 5, not simply the visual aspect and gain performance. May be the majority of folk have been puzzle by the iPhone 5S rumor and not want to revamp iPhone 6 by Apple in upcoming update. 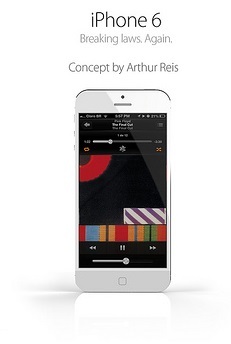 Designer Arthur Reis let us open the eyes once again and arouse on iPhone 6. This is tyrannizing description but without missing the Apple style, how to cut the shackles of tradition once again? Arthur Reis simply in three aspects: slimmer body, more powerful touch control, a better camera. Look from thickness of the structure, iPhone 6 is only 6.1 mm, This will be an entirely new stage in thin again. There is more powerful touch control and it’s mean. This time, in this idea, designer boldly insert the Magic Trackpad elements to iPhone 6 – the lower side of the phone will help touch at any point. It seems so magical. 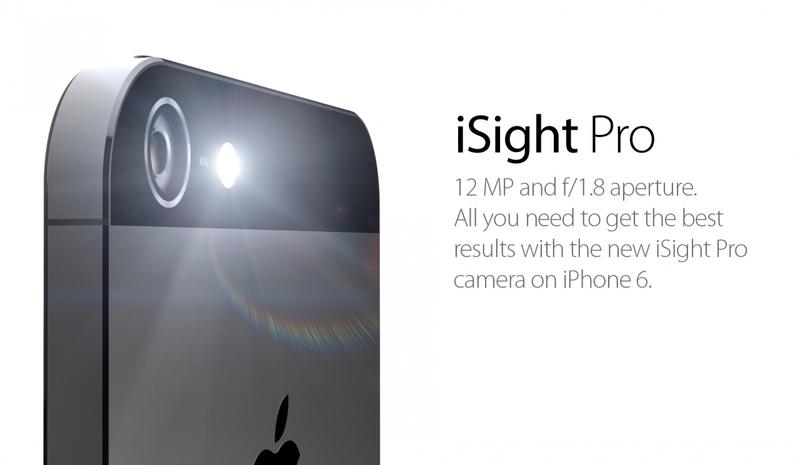 Moreover to these two new features, the present iSight camera also be updated to iSight pro, pixels gain to 12 million, with f/1.8 aperture.